Critical situation when mature oil deposits are exhausted leads to the need for extraction of residual oil deposits from old reservoirs and development of new small reservoirs characterized by complicated geological structure. Solution of the specified problem requests for more detailed and accurate models of productive layers to be recovered from seismic exploration data. 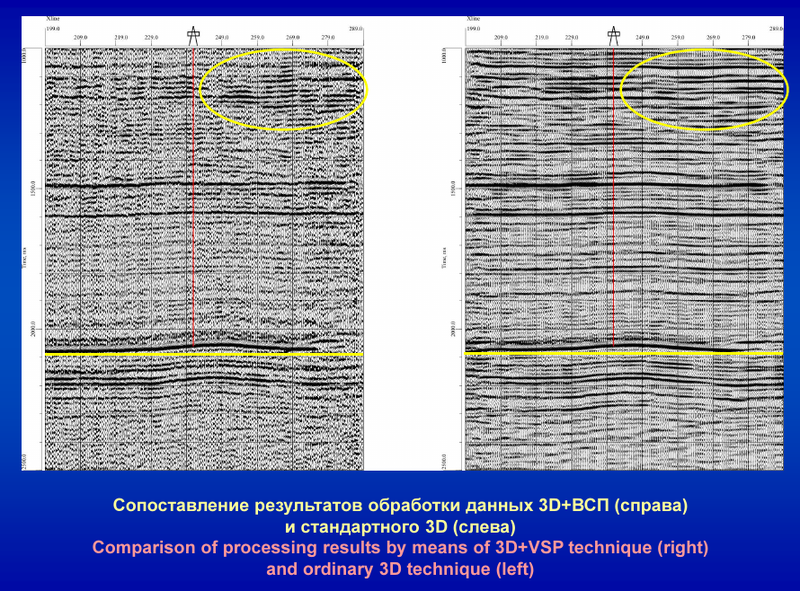 Both modern surface seismic exploration and VSP technologies feature a set of principal drawbacks constraining further increase in accuracy and resolution of processing results. Modern 3D acquisition geometries 2D+VSP and 3D+VSP provide for integration of the surface seismic and VSP surveys allowing to solve the identified problems. Two applications of combined surface and downhole acquisition geometries are described. 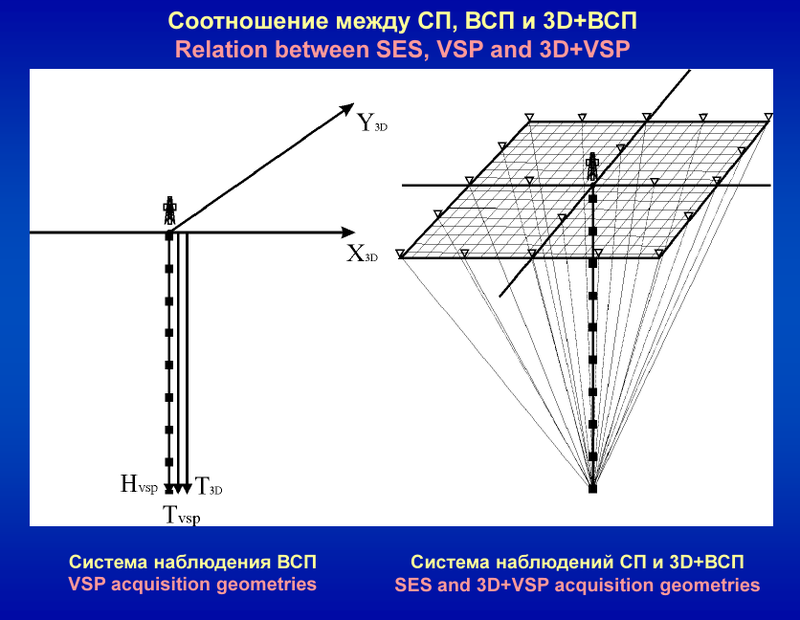 They are called “2D+VSP” and “3D+VSP”. The advantages are based on the use of downhole arrival times and signatures to improve surface seismic data. The case stories approve the proclaimed features of proposed technology. SP provides accurate solutions to tie surface reflections to logs and investigation of near borehole space for small offsets. 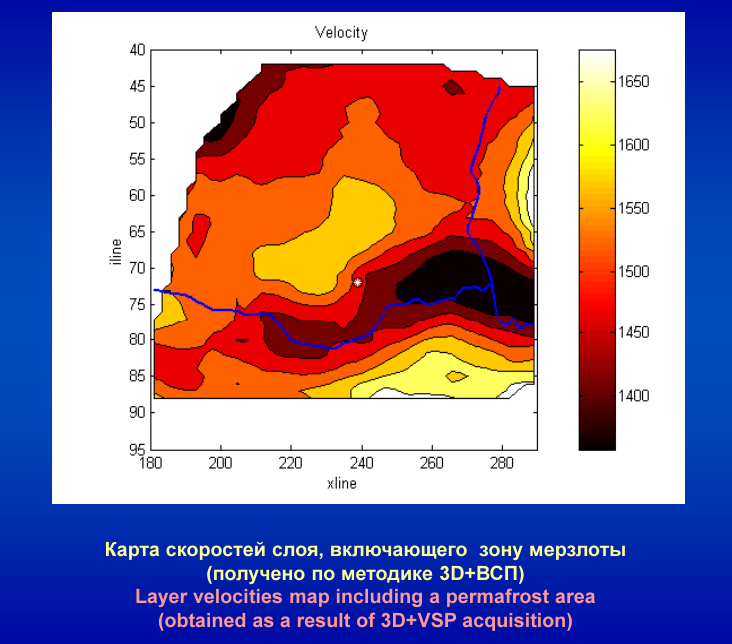 But all modifications of VSP including 2D VSP and 3D VSP contain sufficient uncompensatable errors due to insymmetrical acquisition geometry..
3D acqusition systems and model-based processing may be recommended as one of leading developments for improvement of resolution and accuracy of seismic exploration to meet challenges of oil industry.